The Not For Profit sector operates differently to business in that it generally receives funding for programs from government and philanthropic sources rather than from commercial transactions. Even though this is the case, many of the same business principles apply to running a not for profit organisation and Acuro is experienced in tailoring solutions that improve the governance and performance of these organisations. Our work with community organisations takes us throughout the Asia Pacific region to improve access to business tools in developing economies where running a small business can have a profound impact for positive change. 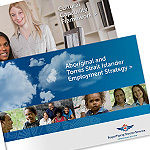 With over 60% of its clients identifying as Aboriginal or Torres Strait Islander, RFDS Queensland required an employment strategy to attract and retain more Indigenous Australians to its workforce. In 2012, statewide consultations were conducted by Acuro to capture the views of RFDS employees, management and community stakeholders. 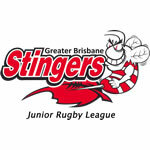 The largest junior sporting organisation in the southern hemisphere, is the junior player development arm of the Queensland Rugby League, known as The Stingers. Acuro worked closely with the Stingers Board to develop a strategic plan that charts their priorities over the next 3 years, as well as preparing a master brand strategy to guide their marketing and promotions. Aboriginal Bush Traders is an innovative business model being trialled with Aboriginal Communities in the Top End, whereby participating communities supply unique products into a central hub (Aboriginal Bush Traders) which then does the sales, marketing and distribution on the community’s behalf. All profits are then reinvested back into communities to support employment and help close the gap on Indigenous disadvantage in regional and remote locations.